Headline indices of the Australian financial market advanced on Wednesday, 06 February 2019, as investor sentiment was bolstered by tracking strength on Wall Street overnight, with investors now turning their attention to a speech by RBA Governor Philip Lowe to the National Press Club and the State of the Union address by U.S. President Donald Trump. 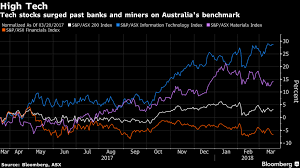 Around late afternoon, the benchmark S&P/ASX200 index added 28.78 points, or 0.48%, to 6,034.70 points, while the broader All Ordinaries index rose 31.56 points, or 0.52%, to 6,099.70 points. U.S. stocks rose on Tuesday as largely upbeat corporate results fueled investor optimism ahead of the highly awaited State of the Union address by President Donald Trump.  The Dow Jones Industrial Average rose 164.37 points, or 0.65%, to 25,403.74, the S&P 500 gained 10.64points, or 0.39%, to 2,735.51 and the Nasdaq Composite added 51.44 points, or 0.7%, to 7,398.97. Investors will be keeping an eye on a speech by RBA Governor Philip Lowe to the National Press Club in Sydney after midday for clues on the central bank's future decisions. US President Donald Trump will deliver his State of the Union address during Tokyo trading hours and expectations are for the President to make comments on North Korea, the US economy, China trade talks and border security. Shares of major financials declined following their post-royal commission report surge on Tuesday. ANZ was down 1.6%, NAB fell 1.2% and Westpac lost 2.1%. Commonwealth Bank was down 1.7% after revealing its first-half cash profit fell 2.1% to $4.7 billion as their customers switched away from investment and interest-only mortgages. Insurance Australia Group was up 4.4% after reporting an improved underlying result despite a 9.3% half-year net fall in profit. Mortgage brokers shares rebounded after they received a pummeling on Tuesday, with Mortgage Choice up 2.2% and Australian Finance Group up 4.4%. Miners also boosted the benchmark, with BHP up 1.19%, Rio Tinto rising 1.14% and Fortescue Metals increasing 0.42%. Viva Energy jumped more than 13% after it announced a new 10-year deal with Coles that gives it the right to set fuel prices. Sydney Airport rose more than 4% after the release on Wednesday morning of a Productivity Commission draft report into the economic regulation of Australian airports. CURRENCY: Australian Dollar appreciated against greenback and against a basket of other peers on Wednesday. The Aussie dollar was buying 72.41 US cents, down from 72.61 US cents on Tuesday.